We are offering Automatic Freeze Dryer to our customers. We are supplying our products to Indian customer and foreign also. 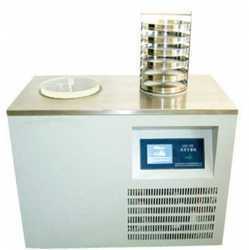 Our Automatic Freeze Dryer can be used in herbal and medical products, fruits and milk dried and etc. We are a Process Freeze Dryer supplier in India. Our products can be used in various industries and based on customer requirement we customize our product. Used for food, pharmaceutical, fruit, reagent and etc.